The design of the Kh-55 cruise missile began in 1971 at the Raduga design office and in 1978 it launched its first test flights. Kha-55 entered the production line three years later, and in 1984 it began the arming of the Tupolev-95 bombers. The Russians responded to the AIGIM-86 cruise missile Eelsheim similar to the Americans. The Russian air force today has armed only the strategic bombers, Topol-95 and Tupolev-160. After the collapse of the Soviet Union, 1,612 of these missiles were supplied to Ukraine as part of the 19-Tupolev-160 and 25 Tupolev-95 Ms weapons. The Ukrainians first demanded $ 3 billion for the return of missiles and bombers to Russia, which eventually agreed to transfer 11 aircraft and 575 missiles to Russia for $ 285 million, and the destruction of the rest of them at the expense of a US-funded disarmament program occurred. However, some of these missiles remained, and later were sold secretly to Iran and China. In 2005, the Attorney General of Ukraine announced that 12 Kha-55s were sold to Iran in 2001 worth $ 49.5 million. In 2004, the Japanese newspaper Sanki Shimbun reported that Iran had provided some of these missiles to North Korea for reverse engineering. On 28 January 2005, Ukranian parliamentarian Hryhoriy Omelchenko issued an open letter to President Viktor Yushchenko that Ukraine had illegally sold cruise missiles to Iran. It's was a credible report, which names dates, names, the bank accounts, fictitious shell companies that were set up to extradite the transfer of money from Iran. Plus there was collaborating evidence to this whole affair. He refered to a paper company set up in Cyprus to channel money for the missiles. Anti-corruption lawmaker Omelchenko was a ranking State Secret Services (SBU) officer and a deputy belonging to Yulia Tymoshenko's parliament faction. Omelchenko is the past head of the parliament's committee on combating organized crime and corruption and is also the Head of the Temporary Committee on Investigating the Murder of Georgiy Gongadze. He has requested that the Attorney General arrest Leonid Kuchma for his involvement with the murder of Internet journalist Heorhiy Gongadze. On 18 March 2005 "Financial Times" newspaper of Britain reported that Ukrainian Prosecutor-General Svyatoslav Piskun had stated that Ukraine exported 12 cruise missiles to Iran and six to China in 2001. 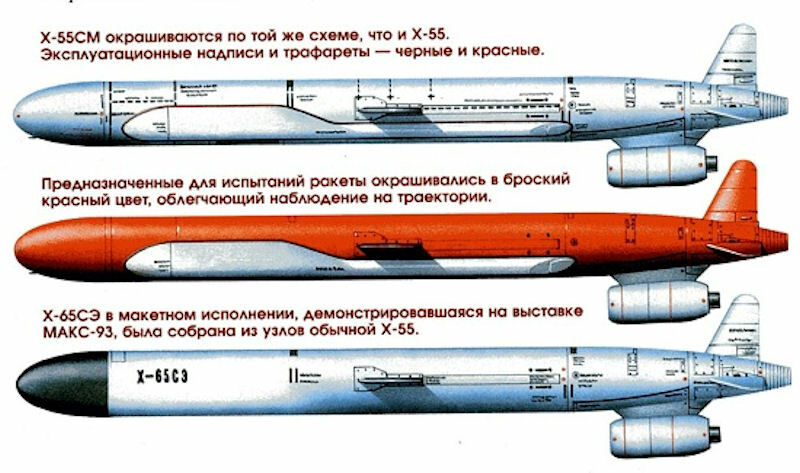 Piskun told the paper that none of the 18 X-55 cruise missiles (also known as Kh-55 or AS-15) was exported with the nuclear warheads they were designed to carry. The newspaper said it was the first confirmation by a Ukrainian government official that the exports took place. 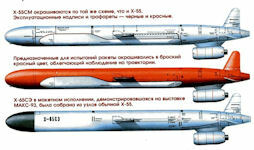 The the X-55 has a range of 3,000 kilometers, more than enough to reach Israel from Iran. The US embassy in Kyiv is closely monitoring the investigation and wanted the findings of a reported secret trial over the missile exports to be made public. The missiles themselves were not in very good shape, according to one US official. They were diverted from Soviet stocks left behind when the Ukraine declared its independence in 1991. Prosecutors said the missiles were sold illegally, and were not exported by Ukrainian enterprises. Export documents known as end-user certificates recorded the recipient of the 20 Kh55 missiles as "Russia's Defense Ministry." A government investigation into illicit weapons sales by officials loyal to former President Leonid Kuchma, who left office in January 2005, led to secret indictments or arrests arms dealers accused of selling missiles to Iran and China. At least three people were arrested and another three were indicted last year in connection with the illicit arms trade. In 2000 Russian national Oleg Orlov and a Ukrainian partner identified as E.V. Shilenko exported 20 Kh55 cruise missiles through a fake contract and end-user certificate with Russia's state-run arms dealer and with a firm called Progress, a subsidiary company of Ukrspetseksport -- Ukraine's arms export agency. Orlov was detained 13 July 2004 in the Czech Republic, and as of early 2005 an extradition procedure was under way to return him to Ukraine for prosecution. Orlov and his partners were suspected of providing Iran with maintenance equipment and technicians to service the Kh-55 missiles. Prosecutor General Svyatoslav Piskun was chief prosecutor under Kuchma and retained his job after Yushchenko, a Kuchma opponent, came to power in January 2005. Legislator Hrihoriy Omelchenko dismissed the statement by prosecutors as a "political trick" by Piskun to keep his post in the face of calls by pro-Yushchenko legislators for his resignation. Lawyer Bogdan Ferents defends in court the sole defendant in the case on the sale of the missiles, director-general of the company Ukrainaviazakaz Vladimir Yevdokimov. The Kh-55 cruise missiles delivered by Ukraine to Iran and China in 1999-2001 "are not weapons", Ferents said, adding that the missiles were not complete with parts. The missiles delivered to third countries were manufactured in 1987, and had a service life of eight years. The lawyer maintained that storage of the missile did not meet standards since 1992. Former Air Force commander Viktor Strelnikov and specialists who examined the missiles said that they were marked with the inscription "training". Jane's Intelligence Digest, published on 18 March 2005, noted: "There is no doubt that the sale of the missiles to Iran and China could only have taken place with the knowledge and cooperation of senior Ukrainian officials. ... there is ... mounting evidence to suggest that the sale of missiles to Iran was undertaken with the assistance of the Russian security services." Why Does Iran Want Cruise Missiles? The half-dozen missiles sold to China are consistent with a Chinese interest in reverse-engineering these weapons to provide technical input into China's ongoing efforts to develop long range cruise missiles. But Iran is not known to have a long range cruise missile development program, and the dozen missiles aquired by Iran suggest the possibility that Iran hoped to equip these missiles with nuclear warheads, once Iran completed its atomic weaponization program. Press reports noted that while Iran does not operate long-range bombers, it was believed that Tehran could adapt its Soviet-built Su-24 strike aircraft to launch the missile. But this totally misunderstands the multiple launch modes of this missile, which can also be launched from ships or from land based truck launchers. These later modes are certainly the ones relevant to Iran. The Soviet sea and ground launched versions of the missile had a small solid rocket motor that would boost the missile to cruising speed, and Iran would have to make some provisions to replicate this equipment. Such small motors would seem well within the reach of Iran's capability base. Long range cruise missiles tipped with atomic bombs would provide an attractive capability for attacking Israel. It may be imagined that an Iranian atomic bomb would be somewhat larger and heavier than the Soviet nuclear charge the missile was initially designed to carry, but no so much larger as to preclude installation in the missile's nose. Absent unavailable data on Iranian atomic bomb characteristics, some reduction in the Kh-55's 2,500-3,000 km range would be anticipated, but not so much as to preclude reaching Israel at a distance of less than 1,500 km. While Israel has invested considerable effort in developing the Arrow anti-missile system for countering Iran's ballistic missiles, Israeli capbilities to counter low-flying cruise missiles are less well developed. The X-55 cruise missile is much smaller than the Shehab 3, and consequently could be mounted on a much smaller launching truck, making it easier for the launcher garrison to evade detection. Unlike a ballistic missile, it is hard to detect a cruise missile when it is launched. The KH-55 flies at medium altitude for the first part of its flight. Cruise missiles can fly at low altitude and weave in between mountain ranges to minimise the risk of detection. They are much more difficult for SAMs and other air defences to track or attempt to engage. The only way to effectively deal with cruise missiles is to use AWACS to guide in fighters. Even then its hard for the fighters' AAMs to engage the missiles. Trying to intercept cruise missiles over land is a difficult challenge for the defending side. Basic computer maps used for navigation can be compiled from information bought from most countries with operational satellite systems. With the inflight navigation fixes periodically throughout its flight this would be good enough for a 1,500 km flight. With a simple low powered altimeter radio system it could avoid the ground quite easily. With converted civilian planes, Iran could possibly launch these missiles from the middle of the Atlantic to hit the United States. This might require some fancy engineering on the part of Iran. The missiles could be mounted on launchers slung under the wings of a heavy cargo plane such as an IL-76, but Iran only has one such airplane in military service. Low-wing commercial aircraft would not provide sufficient ground clearance for such an installation. In principle commercial passenger aircraft could be modified with a bomb-bay, but the structural modifications required would be rather heroic. A more attractive alternative might consist of arming small ships with single cruise missiles. The modifications required to launch such a small missile would easily escape detection. Iran's merchant marine fleet is controlled by the state shipping company Islamic Republic of Iran Shipping Lines (IRISL). It serves now two container services from the port of Bender-e Abbas. One of them goes on a 30-day loop to East Asia, the other reaches Europe via the Suez in 22 days. In 2003 it was estimated that Iran's merchant marine consisted of 130 ships (1,000 GRT or over) totaling 4,715,242 GRT / 8,240,069 DWT. This was composed of 40 bulk, 36 cargo, 3 chemical tankers, 7 container, 1 liquefied gas tanker, 5 multifunction large-load carrier, 33 petroleum tankers, 8 roll-on/roll-off cargo, 1 short-sea passenger, and 10 other ships registered in other countries. Iran's merchant marine fleet is doing relatively well, but the average age of 40% of its vessels is over 20 years, which makes it rather unfit for international competition. In October 2001 an agreement for manufacturing six ships was signed with Germany. The ships will be constructed with a total investment of $188 million in Bandar Abbas under German supervision. Iran Shipbuilding and Offshore Industries Complex [ISOICO] is a qualified Iranian company, active as shipbuilder and shiprepairer of different types of vessels and contractor of offshore structures. It operates from a production premises on the Persian Gulf (37 km west Bandar Abbas City), shipping to any location offshore or onshore. The activity of the Company started in the early 1990s as a workshop and a yard. The experience gained in this operation enabled the company to enlarge its sphere of activity to plants and mechanical plant components, then to multidisciplinary projects. Although the offshore experiences is short but ISOICO has played an important role in offshore market, constructing in its Bandar Abbas Yard. ISOICO shipyard is capable of constructing any type of vessel up to about 4 x 80,000 DWT per year on its existing building berths mainly bulk carrier, containership and oil product carrier using advance technology, which after accomplishing the development in process (i.e. two Dry Docks) the constructing capability will increase for the vessel up to about 2 x 300,000 DWT VLCC or 2 x 140,000 m3 LNG carrier per year in addition to the existing capacity.